I somehow missed this gem last year. How silly! I have vivid memories of songwriters in the round at Tamworth Servies of Mr Scullion. I attended a gig at my fave Tamworth hotel, The Tudor, a few Julys ago with two of my fave songwriters….who I accidently bumped into and a small but enthusiastic crowd listened to Matt sing his own songs and a few choice covers. This guy can write. As most of you know, I love songwriters. 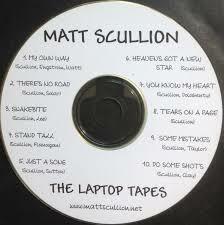 Matt Scullion is a storyteller. The songs that he writes are lines from our own lives….somewhere along the way, we all know someone in those songs, quite often ourselves. Again at Hats Off this year, I spent a couple of hours in the sunshine listening to this man and his songs. He has written or co-written many songs for or with a lot of our best country music artists from several generations. Recently, he wrote some songs for the Viper Creek Band. On this album he writes with one of my favourite current artists, John Flanagan. He has written with Lawrie Minson and many others. Matt’s range and openness bring something extra special to his music. This album is raw and pure. From the first track that sounds gentle and pretty but with a backbone that sends a message that is strong and true with My Own Way, to the essential drinking song at the last bar…pun intended….with Do some shots, Matt delivers 10 songs that cover just about every bump of a country music road. A man and his guitar and songs that touch nerves and hearts and the occasional funny bone. These songs get your toes tapping, images running through your head and get you travelling to all kinds of places from the comfort of your favourite lounge chair. I love Stand Tall (written with John), There’s no road, Just a song (a very clever song about a song…), hell, every track is a winner. You can’t really expect anything less from one of Australia’s finest, most underrated songwriters. This is a cool late at night album or a travelling along a dusty road album. With great respect, do yourself a favour. In these days of the world fixating on hate and anarchy, this album is a Godsend. It has broken many records, already. Put aside the high quality, beautiful country music, it has broken down barriers. It is the first indigenous and Caucasian duet album to be recorded in Nashville. It is a shining beacon in a world gone mad. It shows how beautiful people from different cultures and generations can blend so beautifully together. From the first track onwards, it is pure country music, created by two singers who sing the same song. Sounding like Kenny and Dolly, looking like Pride and Yearwood. The music is magical. The messages are beautiful. The voices are tender, thoughtful and blend like bananas and honey in a smoothie. This would have to be one of the best collaborations in the last twenty years, up there with Melinda and Beccy and Garth and Trisha. Awesome stuff. This is an important album on many levels. In a time where the world is spiralling out of control with bigotry and angst, these two show how it should be, vocally and thoughtfully. Warren is one of our best. He is a legend in his own community and also in the Australian Country Music scene for many reasons. Dani is an artist who did not wish to follow the country music fold but learned to understand through some coaching from Warren. This album is pure joy. Political and ethical bonuses aside, the songs on this album takes one back to the 70’s with songs that are absolutely torch and twang and heart and soul. Putting on this album was like putting on one of my Dad’s albums from the 60’s and 70’s and lapping up all of the beautiful melodies and words. Love songs and sad songs and the right amount of sweetness and sorrow. I had never heard of Dani before this album but I am sure that I will hear from her for many years to come. This album is nothing short of brilliant. Before I went to Tamworth in July, I was told to check out Ian Burns. I was told that he was the kind of artist that I would like and that he was one to watch. I saw him perform at two different gigs and he didn’t disappoint. In fact, his performances were some of the highlights of Hats Off for me. God Gave Me Wings – An upbeat song to start off the album. A good toe tapping, air guitar kind of country song. 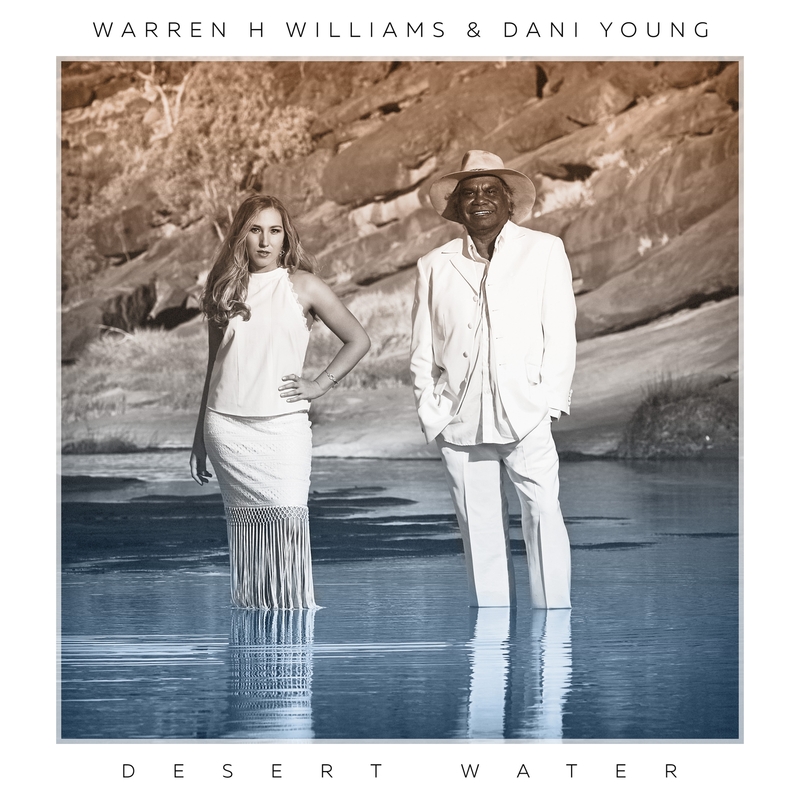 Cool Clear Water – not the song that you expect, just the same name. A little more mellow than the first track and easy and smooth for the old ears. Singing for the Money – A much deeper song than the first two and like most of you know, more my “style”. One of the best songs on the album. Make you Happy – As the title suggests, an upbeat, very happy song. A good singalong, clap along song. Forty Something – Ian sang this a few times at Tamworth, and it was both a touching, relatable song for us women who are forty something and then some. Another good singalong song. Want to Sing – The title track is probably my favourite. Ian’s voice is at its best and the words and music are awesome. A very thoughtful and heartfelt song. 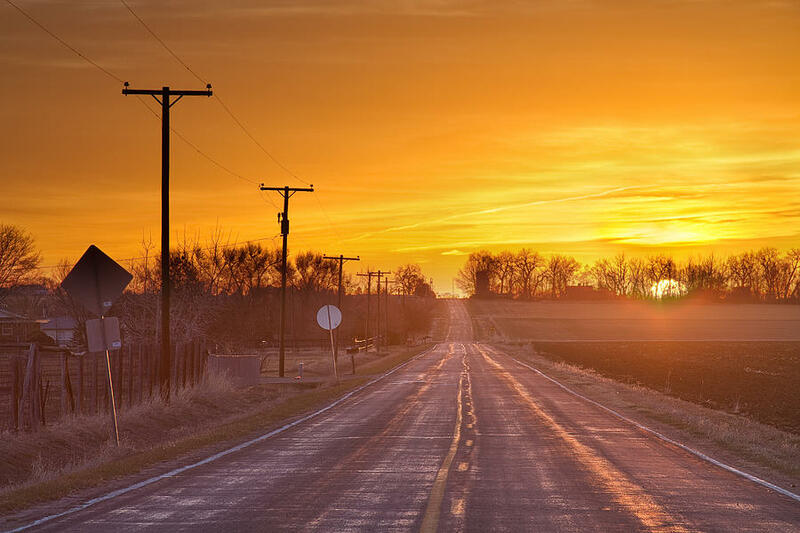 My kind of beautiful – A good song for a drive along a country road. One of those where you tap your fingers on the steering wheel. Keith Urban could sing this song, quite easily. Ride Away – This song is getting its share of airplay at the moment. I can relate to this song very easily. I know what it is like to get up on a horse and ride until all of the bad stuff is gone. Great song. Safe in the Arms of Love – Ian has a nice and easy voice to listen to. It is both a familiar sound and a comforting one. No more than in this song. Why- A toe tapping song but at the same time a questioning song….which is appropriate, giving the title. Face the Show: Great song to end the album. It kind of rounds off the music and looks ahead to what may or may not happen. 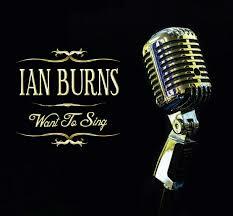 Ian Burns is a thoughtful and genuine songwriter and singer. I am glad that I got to hear his songs live and hope to hear more of him in the years to come. He kind of reminds me of a Mike McLennan. I have to be honest. I am getting to like the idea of the mid year country music festival in Tamworth better than the January one. In some ways, it is like comparing apples and oranges. They are both lovely pieces of fruit but they taste different. I had a couple of personal mishaps at Hats Off, which prevented me from going to everything that I hoped, and there was the usual thing (which happens in January too) that everything was on in one night and you had to make tough decisions. July in Tamworth is cold, though it was fairly mild this year. When I said that, locals said to me that I must be a local, as those from Queensland and other parts of Australia thought that it was freezing. Of course, that is sort of true, I am a Tamworth girl originally. A lot of the action was out at the Dag, and being a non-driver and carrying an injury, it was a bit difficult to get there. Having said that, there were some of the artists who did a balancing act, by appearing in town as well as at the Dag. Sadly, I missed the wonderful Sandra Humphries and Anthony Taylor but I did get to see a lot of local artists who I don’t get to see very often. I also stumbled upon some talent that I hadn’t come across before. I have been pretty lucky to see a lot of Mr Wonderful, Luke O’Shea and Mr Hubba Hubba Harvey as well as the fantastic Ashleigh Dallas, so I swayed more towards the “lesser knowns”. I also got to see and hear Matt Scullion, who is one of my favourite Aussie songwriters and he just happened to have Lawrie Minson in the wings and the two sang their big hit together. That was a special moment. I was able to see probably my favourite Aussie Country act at the moment, The Weeping Willows and the likes of Wendy Wood (a brave soul, considering that she was not a very well girl), my dear friend and very talented songwriter, Melissa Robertson, wonderful young talents, Becci Nethery and Emma-Jene, The Long and Short of It (another current fave), Ian Burns (who was probably one of my favourite acts of the weekend) and many more. Marie Hodson and Wendy Phypers as Patsy Cline and Brenda Lee were fantastic, playing to an overstuffed North Bowlo! It is not a Hats Off without Don Costa, whether he is at The Lowes Theatre in Peel Street or Tamworth Shopping World Opry House, you have to catch the Don. The highlight for me was a double concert at The Tudor, with Sally Anne Whitten and Alwyn Aurisch on first with their funky, bluesy, folky country and a little bit of everything, including my fave Sal song which happens to be co-written by the following act, the birthday gal, Allison Forbes. I had a great night, it really was a party. Allison’s party was a mix of alternative country acts, and some just blew my party socks off. Safe to say that night was what I really, really wanted…..in joke. Good to see the likes of Andrew Swift and Tori Forsyth. I also got to see some waxed heroes, something that I never get time for every time that I go to Tamworth. I went to three TSA gigs, something that I am very proud of, as I got to see a lot of songwriters who don’t often get promoted or mentioned. There are some really talented people out there. Shelly Jones Band was another one that impressed and The Kings. Some negatives, but they are things that can easily be fixed. On Thursday and Friday, they need more day time gigs. I know that the Dag had some, but they need some in town too. If it wasn’t for Marie and Wendy and Don Costa, there would have been nothing on in the day time. They had to turn people away from Marie and Wendy’s gig because the place was so full, that should say something. There were people in town wanting to go to things but not much on. At night, it was the opposite, you had to miss out on something to go to something else. Saturday and Sunday were much better with options and stuff on in the day time, but if you are going to have a four day festival, have a four day festival. Also, transport. Not everybody drives or has wheels to get about in. Perhaps they could have more buses on like they do for January. I walked, caught the few buses available and caught cabs. There were some courtesy buses from the clubs but only at certain times and only to certain places. I am sure that the locals would appreciate it too, and perhaps one out to Nundle as well. Well done to the Academy, what I am hearing is all good. The beauty of the July festival is that it is not as crowded. It is an intimate, cozy and welcoming festival. It could be even better with a little tweaking.